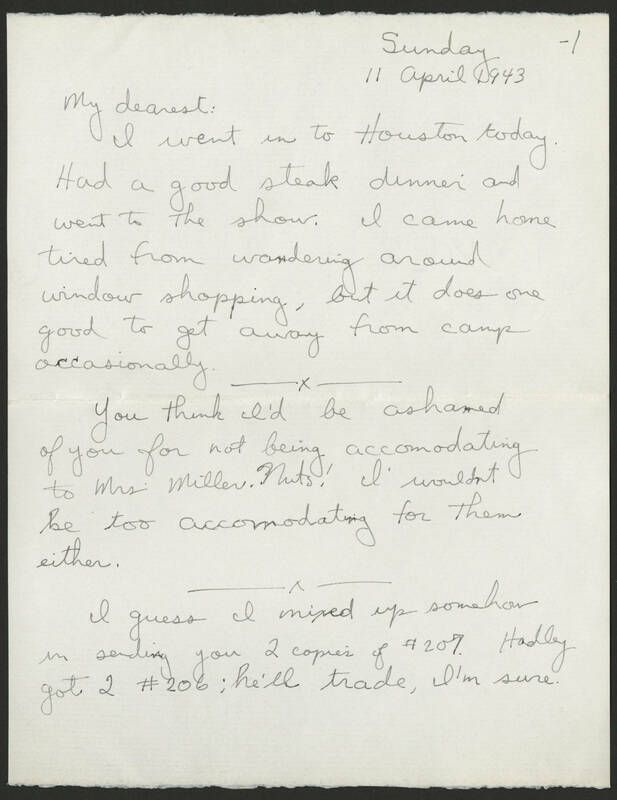 -1 Sunday 11 April 1943 My dearest: I went in to Houston today. Had a good steak dinner and went to the show. I came home tired from wandering around window shopping, but it does one good to get away from camp occasionally. You think I'd be ashamed of you for not being accommodating to Mrs. Miller. Nuts! I wouldn't be too accommodating for them either. I guess I mixed up somehow in sending you 2 copies of #207. Hadley got 2 #206; he'll trade, I'm sure.